MISSION ESL COMPUTER LAB: "Leonardo da Vinci: Artist, Scientist, Innovator" from VOA. "Leonardo da Vinci: Artist, Scientist, Innovator" from VOA. SHIRLEY GRIFFITH: And I’m Shirley Griffith with EXPLORATIONS in VOA Special English. Today, we tell about one of the greatest thinkers in the world, Leonardo da Vinci. He began his career as an artist. But his interest in the world around him drove him to study music, math, science, engineering and building design. Many of his ideas and inventions were centuries ahead of his time. STEVE EMBER: We start with one of Leonardo da Vinci’s most famous drawings, called “Vitruvian Man.” This work is a good example of his ever questioning mind, and his effort to bring together art, math and science. 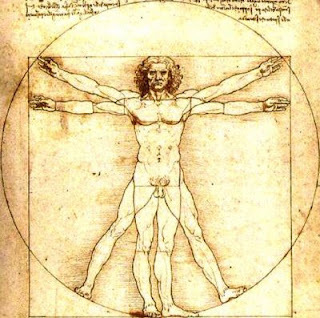 “Vitruvian Man” is a detailed sketch of a man’s body, which is drawn at the center of a square and circle. The man’s stretched arms and legs are in two positions, showing the range of his motion. His arms and legs touch the edges of the square and circle. SHIRLEY GRIFFITH: The notebooks show many very modern ideas. Leonardo designed weapons, machines, engines, robots, and many other kinds of engineering devices. When disease spread in Milan, Leonardo designed a city that would help resist the spread of infection. He designed devices to help people climb walls, and devices to help people fly. He designed early versions of modern machines such as the tank and helicopter. Few of these designs were built during his lifetime. But they show his extraordinarily forward- thinking mind. STEVE EMBER: Very little is known about Leonardo’s early life. He was born in fourteen fifty-two in the town of Vinci. His father, Ser Piero da Vinci, was a legal expert. Experts do not know for sure about his mother, Caterina. But they do know that Leonardo’s parents were never married to each other. As a boy, Leonardo showed a great interest in drawing, sculpting and observing nature. SHIRLEY GRIFFITH: It was an exciting time to be in Florence, one of the cultural capitals of Europe. Leonardo trained with one of the city’s very successful artists, Andrea del Verrocchio. He was a painter, sculptor and gold worker. Verrocchio told his students that they needed to understand the body’s bones and muscles when drawing people. Leonardo took his teacher’s advice very seriously. He spent several periods of his life studying the human body by taking apart and examining dead bodies. Experts say his later drawings of the organs and systems of the human body are still unequalled to this day. 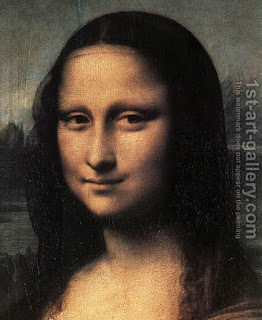 STEVE EMBER: While training as an artist, Leonardo also learned about and improved on relatively new painting methods at the time. One was the use of perspective to show depth. A method called “sfumato” helped to create a cloudy effect to suggest distance. “Chiaroscuro” is a method using light and shade as a painterly effect. The artist also used oil paints instead of the traditional tempura paints used in Italy during this period. SHIRLEY GRIFFITH: Leonardo’s first known portrait now hangs in the National Gallery in Washington, D.C. 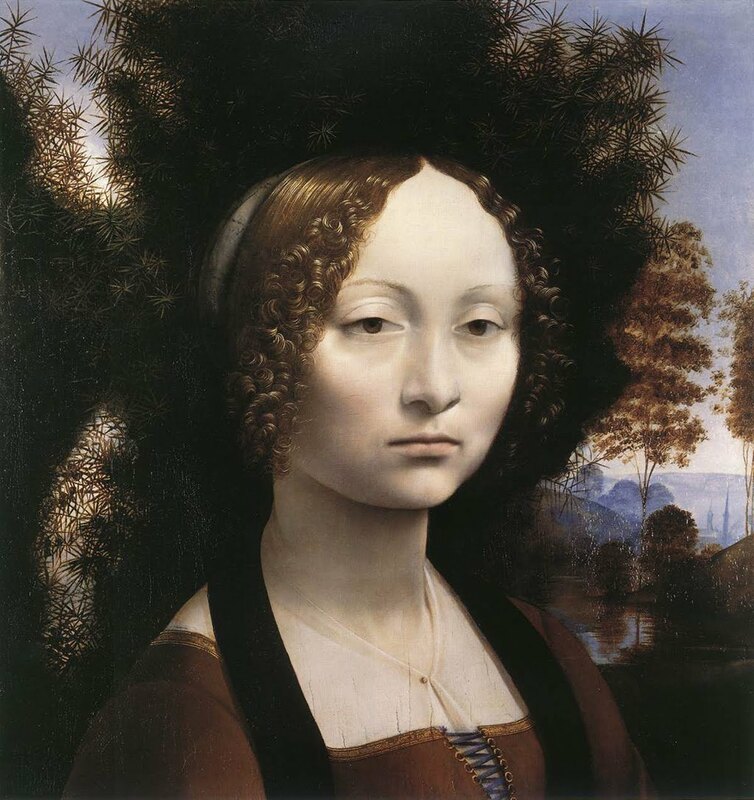 He made this painting of a young woman named Ginevra de’Benci around fourteen seventy-four. The woman has a pale face with dark hair. In the distance, Leonardo painted the Italian countryside. He soon received attention for his extraordinary artistic skills. Around fourteen seventy-five he was asked to draw an angel in Verrocchio’s painting “Baptism of Christ.” One story says that when Verrocchio saw Leonardo’s addition to the painting, he was so amazed by his student’s skill, that he said he would never paint again. STEVE EMBER: Leonardo once said the following about actively using one’s mental abilities: “Iron rusts from disuse, stagnant water loses its purity and in cold weather becomes frozen; even so does inaction sap the vigor of the mind.” His mind was so active that he did not often finish his many projects. One religious painting he never finished was called “Adoration of the Magi”. He was hired to make the painting for a religious center. The complex drawing he made to prepare for the painting is very special. It shows how carefully he planned his art works. It shows his deep knowledge of geometry, volume and depth. He drew the many people in the painting without clothes so that he could make sure that their bodies would be physically correct once covered. SHIRLEY GRIFFITH: Around fourteen eighty-two, Leonardo moved to Milan. There, he worked for the city’s ruler, Ludovico Sforza. This ruler invited Leonardo to Milan not as an artist, but as a musician. Historians say Leonardo was one of the most skillful lyre players in all of Italy. But he also continued his work as a painter. He also designed everything from festivals to weapons and a sculpture for Ludovico Sforza. 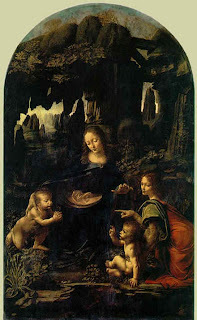 STEVE EMBER: One famous work from Leonardo’s Milan period is called “Virgin of the Rocks.” It shows Jesus as a baby along with his mother, Mary, and John the Baptist also as a baby. They are sitting outside in an unusual environment. Leonardo used his careful observations of nature to paint many kinds of plants. In the background are a series of severe rock formations. This painting helped Leonardo make it clear to the ruler and people of Milan that he was a very inventive and skillful artist. 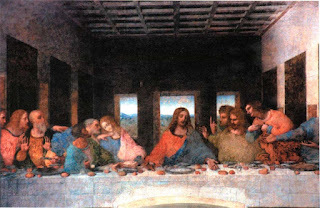 SHIRLEY GRIFFITH: Leonardo later made his famous painting “The Last Supper” for the dining room of a religious center in Milan. He combined his studies in light, math, psychology, geometry and anatomy for this special work. He designed the painting to look like it was part of the room. The painting shows a story from the Bible in which Jesus eats a meal with his followers for the last time. Jesus announces that one of them will betray him. The work received wide praise and many artists tried to copy its beauty. One modern art expert described Leonardo’s “Last Supper” as the foundation of western art. Unfortunately, Leonardo experimented with a new painting method for this work. The paint has suffered extreme damage over the centuries. STEVE EMBER: In addition to the portrait of Ginevra de’Benci that we talked about earlier, Leonardo also painted several other non-religious paintings of women. One painting of Cecilia Gallerani has come to be known as “Lady with an Ermine” because of the small white animal she is holding. This woman was the lover of Milan’s ruler, Ludovico Sforza. SHIRLEY GRIFFITH: And I’m Shirley Griffith. 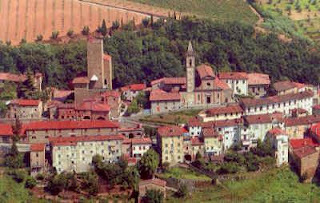 You can see some of Leonardo da Vinci’s work at our website voaspecialenglish.com. Join us again next week for EXPLORATIONS in VOA Special English. 1. 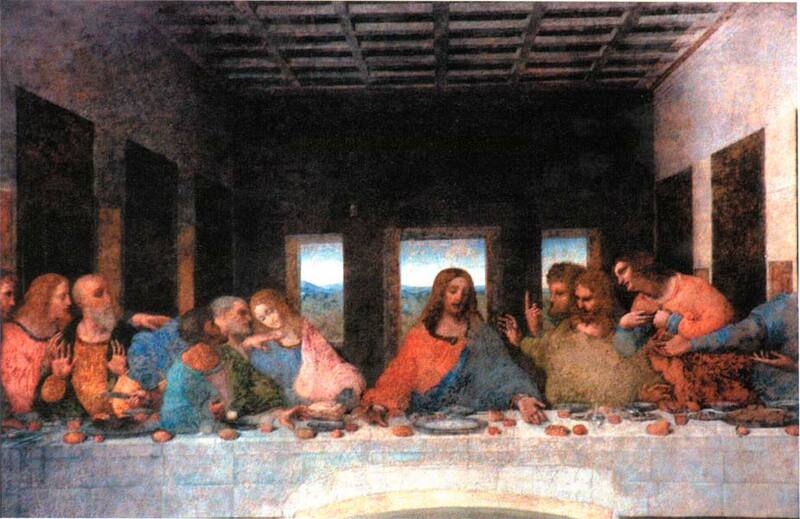 The painting of "The Last Supper" was damaged because _____________ . 2.There is no evidence that Leonardo da Vinci studied _____________ . 3. Leonardo da Vinci teaches us that we can develop a complete mind by _____________ . 4. "The Virgin of the Rocks" shows the Virgin Mary with two infants. One is Jesus, the other is _____________ . 5. "The Mona Lisa" is presently __________________. 6. In painting, a method of using light and shadow is called "__________". 7. In one drawing, Leonardo shows the relationships of a man's movement to geometry. That drawing is "__________". 8. Leonardo once said, "Iron rusts from disuse, stagnant water loses its purity and in cold weather becomes frozen; even so does inaction _____________." 9. Another name for this article could be "_______________". 10. This article is mainly about _______________.